What do custard and Final Fantasy IV have in common? Flans!! 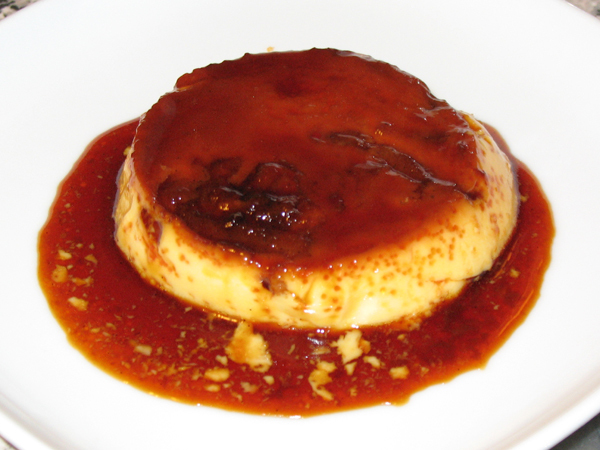 A flan – or crème caramel – is a custard dessert with a layer of soft caramel on top,with similiar characteristics to crème brûlée. 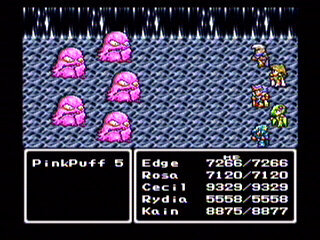 As all Square fans should know, one of the toughest enemies in old school FF games were the pudding class, and in IV (my favourite), the rarest creature of all was the “pink puff” or “princess flan”. Looks can be deceiving! These pink monsters were immune to magical attacks, almost immune to physical attacks, and you had to whittle away at their high HP. They could only be found in one tiny room in the entire game, where you had a 1 in 64 chance of finding them, and if you defeated them you had a 1 in 64 chance of earning the rarest item in the game. But I digress. I had flans on my mind for some reason or another, and decided to give it a go. Usually I wouldn’t preface a recipe with a warning, but you should read all the way to the end before trying this one. 1. Pre-heat oven to 163°C / 325°F. Fill kettle and boil, then let water simmer. 2. Peel fruit and dice into thin pieces. 3. Melt butter in a pan. 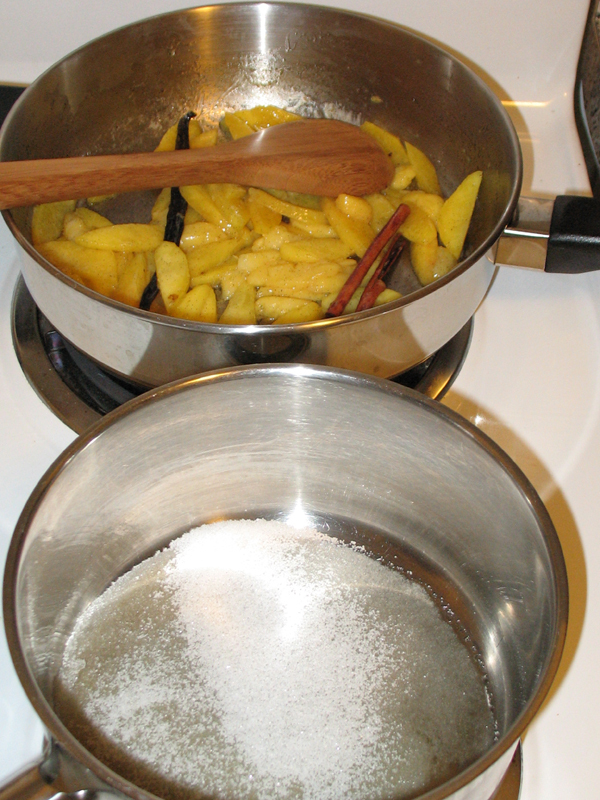 Add fruit, cinnamon stick, and vanilla bean (pods and shell). 4. Bring to a boil, and simmer 15 min. 5. On Medium heat in a heavy-bottomed sauce pan, caramelize 1/3 C sugar. Do not stir it, shake the pan gently until it starts melting. Once melted, reduce heat to Low. Cook for 5 min. At this point all the sugar should be melted and it’s okay to stir. 6. 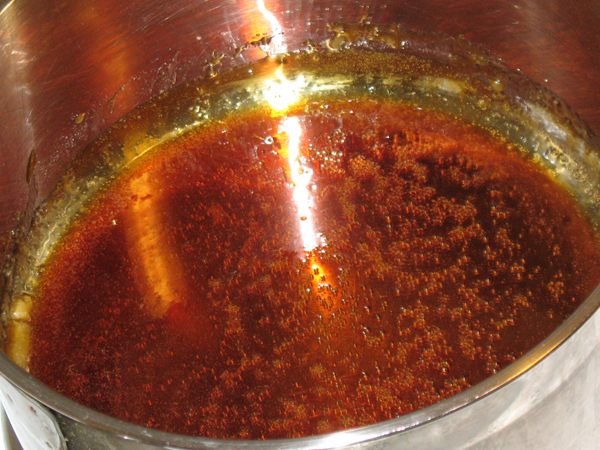 Immediately pour this melted sugar into the ramequins, titling to coat evenly. 7. Meanwhile, combine eggs, milk, and the other 1/3 C sugar, and vanilla. Beat until well combined but not foamy. 8. Place peaches in ramequins. 8. 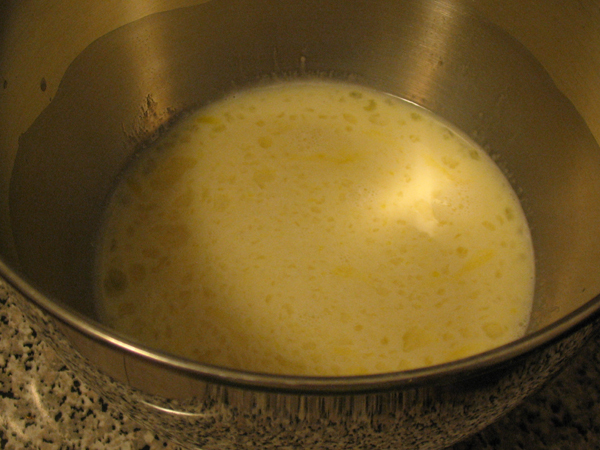 Divide custard mixture evenly amount ramequins. 10. 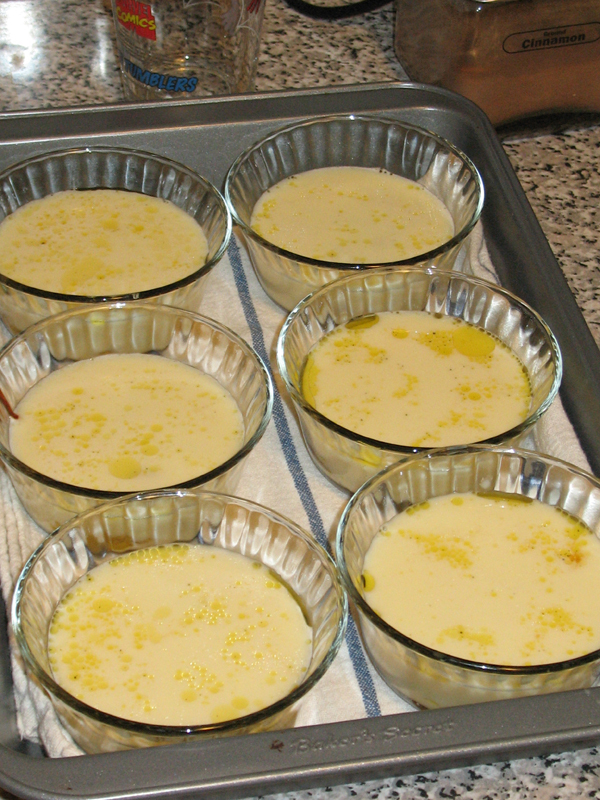 Place ramequins in baking dish and create bain marie. 11. Bake up to 45 min. 12. Immediately remove ramequins from bain marie and place on cooling rack for 10 min. 13. 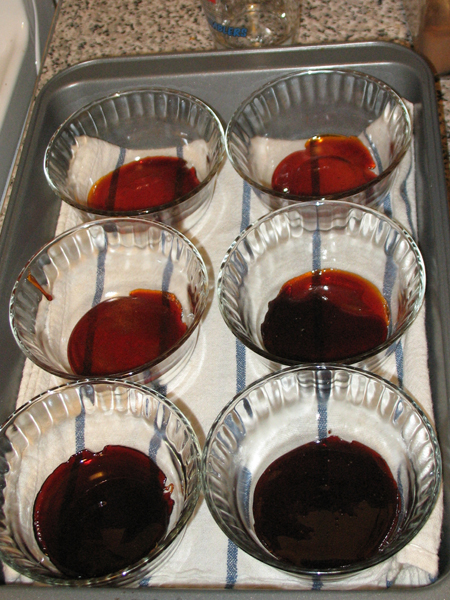 Before consuming, loosen edges of flan with knife, and place a plate over ramequin, and invert. Verdict: Burnt, with a bitter liquer aftertaste, and a consistency of hard-boiled egg. Not exactly what I was hoping for! 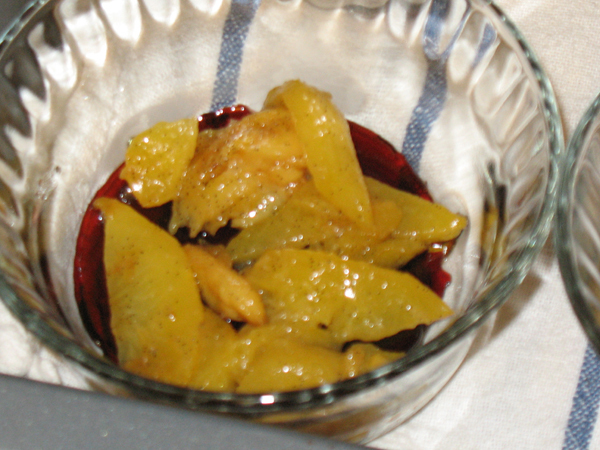 The first problem was the peaches, they were under-ripe, and I overcooked them in my eagerness to include them. Alas, adding fruit to flans changes the consistency and cooking time considerably. Second, a third of a cup of sugar was not enough to coat each ramequin – I ran out, made more, and burned it – and used it anyway. The sugar tasted like burnt brandy, bitter and horrible. 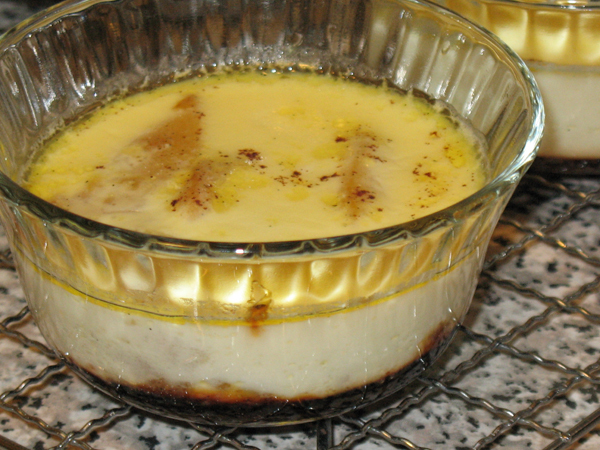 Third, flans should take no longer than 45 minutes to cook, and when they are done, a knife blade inserted will come out clean. I accidentally set the oven to the wrong temperature and didn’t realize until they were already in, so I adjusted the temperature and checked them at 20 minutes, then every 5 minutes. After 70 minutes they still had not set, the knife was covered in runny custard, but I took them out anyway, only to discover they had mysteriously cooked all the way through. WTF. I think peach flans have potential. I’m going to retry this with plain flans first, to get the technique down, then I’ll try adding fruit. 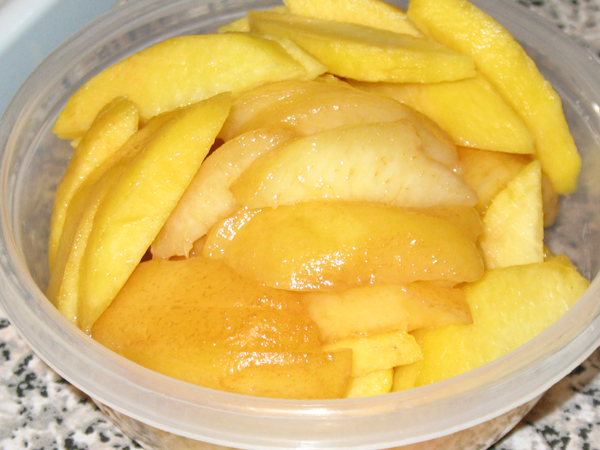 I will not cook the peaches again, just use ripe peaches, one or two slices per cup max. The butter that the peaches cooked in looked unsightly. I think I’d prefer smaller ramequins for this too. What a waste of vanilla bean! 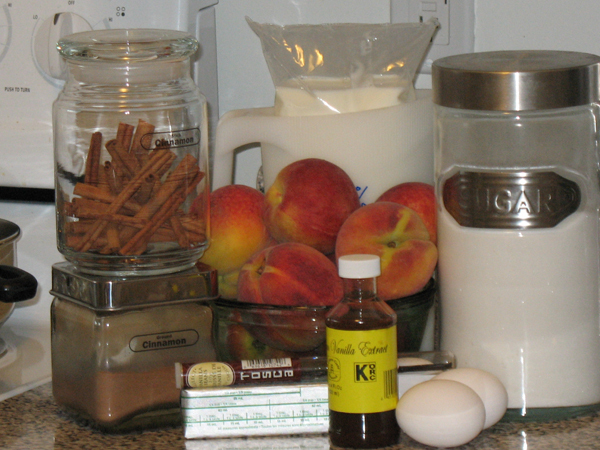 This entry was posted in custard and tagged custard, disaster, experiment, peaches, video games. Har har har. It was called Final Fantasy because Hironobu Sakaguchi (the producer) had been trying to come up with a good game concept for years, and couldn’t, and the original FF was his last game before he switched careers, so he called it “final” since it was planned to be his final try. That game went on to become one of the top selling games of all time and spawned a huge success.